Love is in the air on SAB TV's Peterson Hill! Viewers of Peterson Hill on SAB TV to witness a romantic sequence in the upcoming episodes. SAB TV highly known for the comic conceptual that the channel has to bring in for its viewer; the latest being Peterson Hill by Garima Productions. A lot is happening on the show and TellyBuzz has kept you updated with all the upcoming tracks. Our source informs us, "Audience soon will see 'love is in the air' track. What exactly happens on the show is that Pinky Chadda (Sucheta Khanna) decorates the entire cabin of Kishorilal (Rohit Roy) for their Valentine's Day celebration. Seeing this, he stands awestruck. Viewers will witness the duo dancing on the song Ambarsariya. The two are so much in love that they start dancing with the beggars on the station too. While all of this is happening is, Raju and other stalkers start stalking Mrs. Kishorilal. She does not care and starts dancing with them too." Basically, Love is in the Air. This track will surely leave the audience eager. 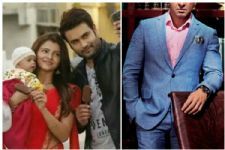 Rubina Dilaik and team Shakti of Colors begin SHOOTING in Singapore; New Characters on-board! Congratulations : Qubool Hai completes 600 episodes! This will be very cute..just like old day's movies .where the whole society dance and sing together. I hope Shatabdi joined them too in this sequence. 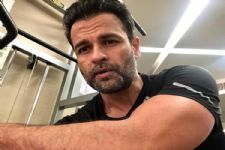 Love Mansi Shrivastav , Rohit Roy, Sucheta Khanna and the others.